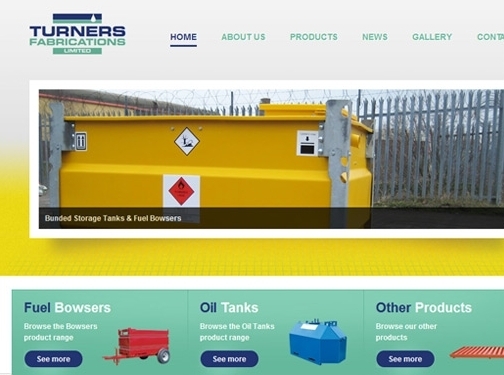 Turners Fabrications are manufacturers of both bespoke and ready made bunded oil tanks and bunded fuel tanks in the UK. All tanks are hand made in the Yorkshire factory by their highly skilled onsite workforce, and are compliant with all of today's legislative requirements. UK (North Yorkshire) based company offering storage tanks and bowser solutions/products. Website features e-commerce facilities where their products are directly buyable on their site (via WorldPay), news section, gallery. Terms and Conditions at footer of each page lists their delivery & returns policy as well as their full contact details.